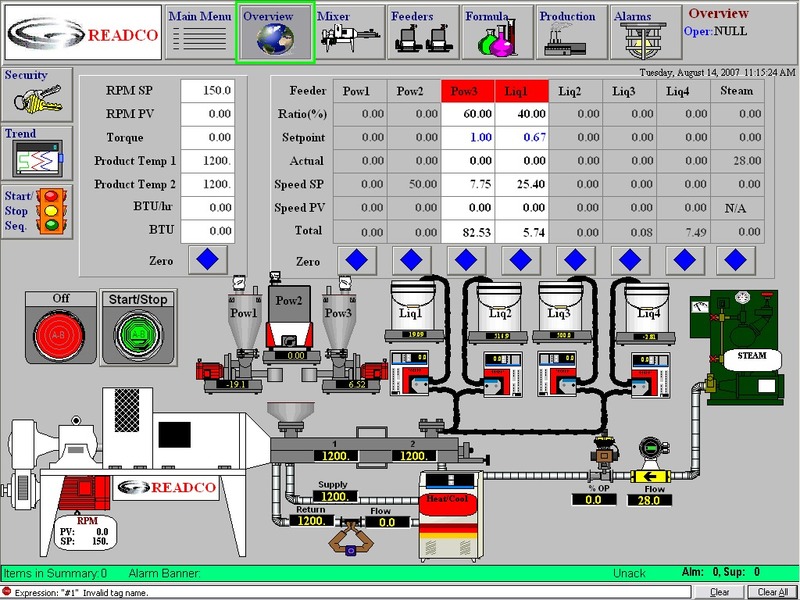 The Readco Kurimoto, LLC mixing control system is designed to integrate the function of all discrete components onto a single Rockwell ControlLogix or CompactLogix PLC hardware platform for ease of use, maintainability and reliable operation. 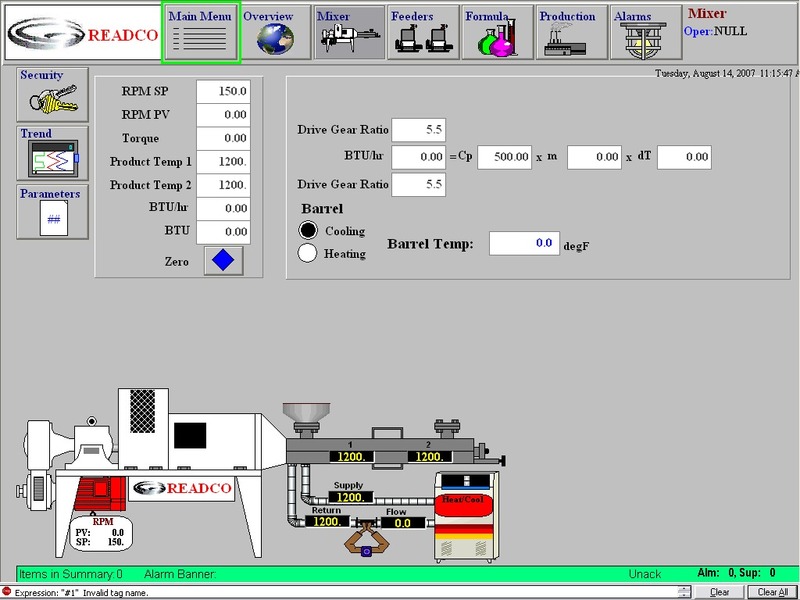 Moving all the mixing, heating, cooling and feeding control operation onto a Rockwell Automation FTView touchscreen allows the installation of redundant monitors to operate the mixing line from multiple locations (at the mixer, at the feeder mezzanine, from the operator control room and/or remotely via Modem or VPN connection). Closed-loop PID temp control of all heating and cooling zones. Complete gravimetric feeder control of all recipe materials. Recipe database for selecting pre-programmed formulations. Live trending, recall and data logging of all process variables. Multiple-layers of security access to ensure process integrity. The Continuous Processor control system will integrate control of the Loss-in-Weight feeders seamlessly into the same mixing PAC/PLC, without having any external proprietary microprocessor controls to communicate with or maintain. The same controller will directly operate screw, belt or vibratory metering feeders from any of the popular manufacturers.